Finance Minister Piyush Goyal, in the Interim Budget Friday, said farmers will be provided Rs 6,000 per year, which amounts to Rs 16.44 daily, in three instalments. New Delhi: Hitting back at Congress president Rahul Gandhi for targeting the government over the cash dole for small farmers announced in Friday’s Interim Budget, the BJP said that the former “has not understood” a thing from the Budget. “As expected, you haven’t understood a thing from the Budget. Rs 6000 to farmers is not their net income but a relief measure to supplement their income; along with host of other steps taken for their welfare. Surprised, you did not tweet 70 paisa/hr! Would’ve been more RG like,” tweeted BJP. 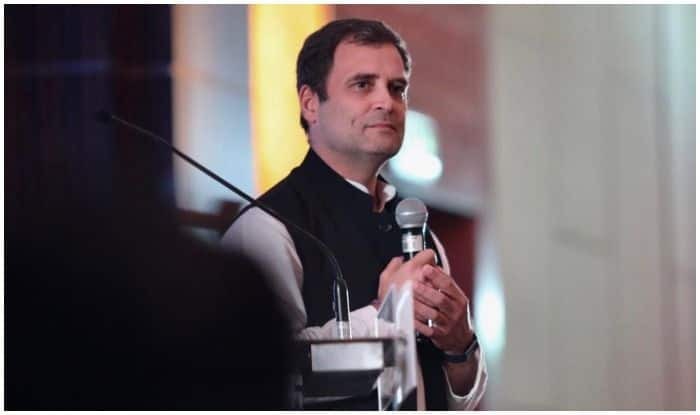 Earlier, terming the Interim Budget as an “Akhiri Jumla Budget”, Rahul alleged the government destroyed the lives of farmers over the past fiver years, and said its Interim Budget announcement of “Rs 17 a day” for them was an insult to everything they stand and work for. “Dear NoMo, 5 years of your incompetence and arrogance has destroyed the lives of our farmers. Giving them Rs. 17 a day is an insult to everything they stand and work for,” Rahul tweeted using hashtag ‘AakhriJumlaBudget’. Finance Minister Piyush Goyal, in the Interim Budget Friday, said farmers will be provided Rs 6,000 per year, which amounts to Rs 16.44 daily, in three instalments under a central government scheme.